You are most likely well aware that the house listed for sale on the market that is attractive and well decorated is going to sell a lot quicker than the one that is not. That isn’t to say that a person’s home will not sell. But if potential buyers walk through a home that really catches their attention with the way it is decorated, they are most likely going to want to buy it. If you are one of those people who love to decorate, and you would like be able to make money doing it, then you should check out Decorate-Redecorate and take a look at one of our home staging courses. You can choose from the bronze (a la carte), silver, gold, or diamond training courses that will have you up and running your own business in no time at all. For example, the Gold Home Staging Course is just one of the courses that can be completed in seven days or less, and you don’t even have to have any previous experience. What’s more, you don’t have to have a degree in interior decorating either. Now you can make that dream come true, without spending years in school to do it. At Decorate-Redecorate, you not only have your choice of home staging courses, you will also find a lot of valuable books and tools that will benefit you whether you are a raw recruit or a seasoned professional looking for ideas or a better way to organize the home staging process. Regardless if you are looking to restage a residence or if you want to do interior design, you will find a home staging course that is right for you. You will learn everything you need to know to stage or redecorate a house, plus you will also get the complete low down on how to manage and market your business as well. There are also books you can purchase that teach you the know-how on everything from individual rooms to getting the most out of carpet, color, fabrics, organizing, layouts, and so much more. You can even find what you need to be one of the best decorators for the holidays and parties. Use that index finger to make the most important click you will ever make. 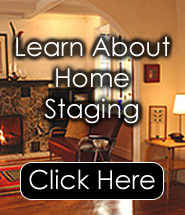 Visit www.decorate-redecorate.com now and check out the home staging courses online. See why there are so many happy, satisfied customers that are now working successfully at their own business.